So I decided to look for a build to mindlessly farm bosses on, it needed to be like mapping where I didn't have to think, could just face tank things and do stupid amounts of damage. Each Magma ball does about 840k DPS to Shaper, with this build you'll have 12 balls, so that's about 10 million DPS total to Shaper/Guardians according to PoB. You do need to dodge the Shaper slam but can face tank the balls and beams. This build has about 6800HP. Total cost for everything is about 1800c at the time of this post. This is all done at level 90. 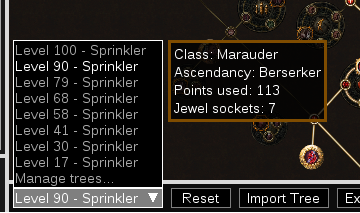 This includes leveling trees (if you look at the bottom left where it says "Level 90 - Sprinkler" click on that to bring up a menu of all the different levels). This also includes many different options for gearing from cheaper versions of this build all the way up to perfect mirror options (item sets). Note: Don't actually take Vaal Pact until you've done your Merciless lab (Cloaked in Savagery) imo. Kill all, get the 2 passive points. Our whole build revolves around this item. With the current build I'm sitting at about 1286 strength which means it adds flat 514-900 fire damage. We use this helmet because it gives 15% increased strength. For enchantments you want 3 additional molten strike projectiles. This helmet gives about 135 strength in my build. 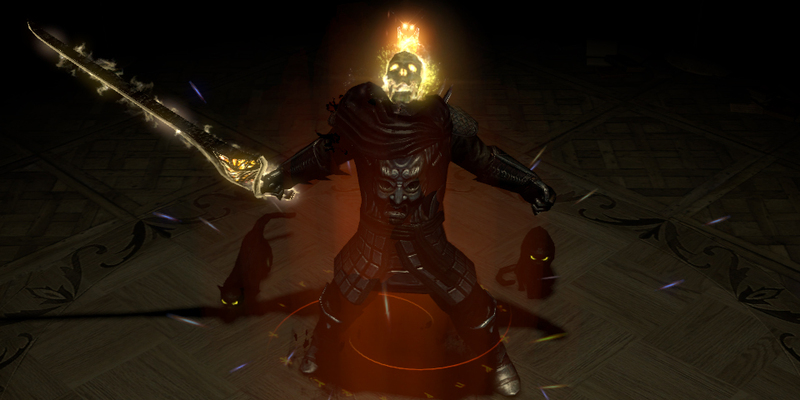 This helm can easily be replaced by a rare if you're short on resistances or can't get "3 additional molten strike projectiles". This shield gives your hits cannot be evaded, which means you don't need to bother with any accuracy. 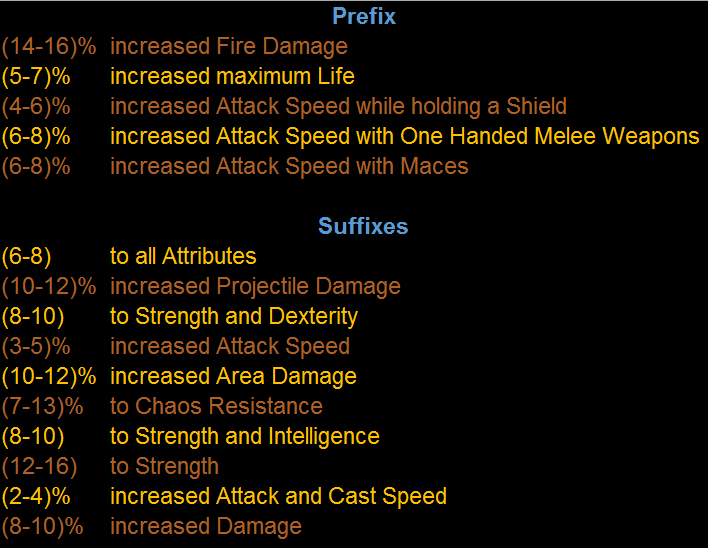 This amulet is AMAZING for this build, but it's also by far the most expensive item for this build. It adds HP, Strength and so much damage. If you can get this I would highly recommend, if not maybe just use a Bisco. We use these gloves for the 100 strength it gives. These gloves can easily be replaced by a rare if you're short on resistances. This is what we use to kill bosses with. Each one gives about 106 strength. We use this flask for the additional projectiles not the AoE. This ring helps with the elemental resist and adds a lot of damage when you ignite/shock/freeze enemies. Be aware that you can not freeze Shaper. Changed some gear around, removed The Taming, lowered the over all DPS from 10mil to 9.6mil as I can't always shock Shaper. Updated the leveling trees/PoB to make leveling a bit easier and not go towards VP stright away as you don't get it until after Merc lab. Added a note to the uniques to say that the gloves and helmets are interchangeable with rares. Added different gear options in PoB so people have a better understanding of the options. I'm interested in feedback or ideas. To anyone playing this build, if you're a video maker I'd love to add it to the post. how are you applying shock - because that is doubling the dps? Is that low of HP enough to avoid one shots or are you actually dodging stuff? Can you post a video? nice, this is what I am building too. I also saw some one using critical version instead of EO. What was your leveling progression like? Is it effective to use brutus the moment my level requirement meets? sounds like a nice build, any vids of build in action? I just looked into it, looks like I wasn't actually shocking Shaper even with vaal lightning trap, I'll update my guide. Thank you! You do need to dodge the slam as that will 1 shot you still, or in my case I just take the slam as there are 6 portals and I'm lazy lol. You can face tank the orbs and lasers. Will look into making a video. Because this build uses so many uniques there isn't much room to get more crit chance/multi and you really need resists on the remaining rare items. Yes use Brutus' Lead Sprinkler as soon as you can as it adds tons of damage even at level 28. I switched between 6L shield charge to kill everything along the way to 6L Molten Strike which made Kitava a joke. I'll have to look into this, I haven't made any videos before. If you use the PoB I put in the leveling tree, at the bottom left as per image. 1 thing I will say is don't get Vaal Pact until after merciless lab and picking up Cloaked in Savagery. I think the Free Market (TM) has heard of you 9 mill dps and decided to up the cost of everything. Jewels are selling for 50, Sprinklers are selling for 250, 15% blacksuns are selling for 20c, etc.